SWLing Post readers: my friend, Dr. Ed Harris, administrator for the Brock International Prize in Education could use your help. What is the Brock International Prize in Education? The Brock Prize is about big ideas that make a difference. It is presented annually to a person (or team) who has an educational idea, concept or practice that fundamentally impacts society. The Prize is comprised of a velum certificate, $40,000, and a sculpted bust of Sequoyah, which are presented to the laureate in the spring of each year. For more information about the Prize, past jurors and laureates, please see our Brock International Prize in Education website. You may also contact me (ed.harris@okstate.edu). On an afternoon of Thursday October 13, 2016, all jurors will come to Tulsa for an Acquaintance Dinner with John Brock and me. On the following day (Friday October 14), we will hold the deliberations. Each juror will have 30 minutes to present his/her nominee. Some jurors have presented short video clips, others have used PowerPoint, while others have just talked about their nominee’s accomplishments. After deliberations, the Jury votes. On Friday evening following the deliberations, we hold the Announcement Dinner to declare the laureate. We will fly you back home on Saturday. Jurors will receive a $500 stipend, and of course, all expenses will be paid. If you or someone you know might be interested in being a juror for the prize, please don’t hesitate to contact me. 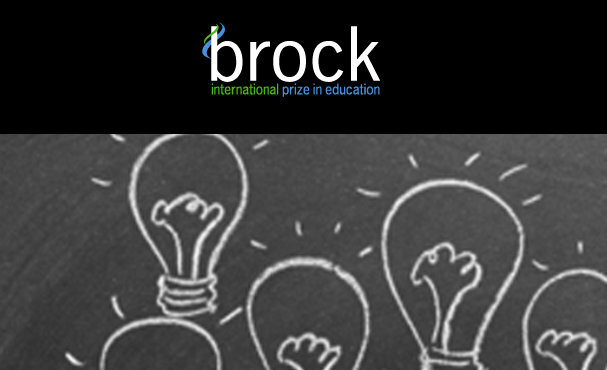 Click here to view the Brock International Prize in Education website. This entry was posted in News and tagged Brock International Prize in Education, Dr. Ed Harris, Ed Harris, Radio Education on January 27, 2016 by Thomas.